That said, Carrington’s work has had highly respected champions over the years: critically acclaimed writers Porochista Khakpour and Ben Marcus22Marcus’s allusion to Carrington in his introduction to a recent edition of David Ohle’s Motorman was what piqued my interest in her writing, in fact. 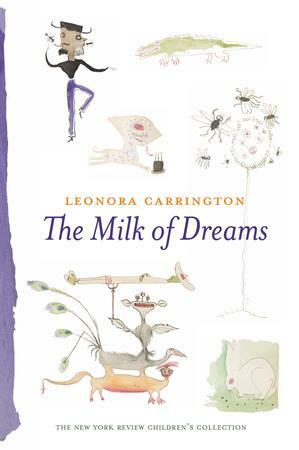 have cited her prose in their nonfiction, and Ann and Jeff VanderMeer included Carrington’s story “White Rabbits” in their mammoth 2012 anthology of surreal and strange fiction, The Weird. In a 2012 piece for The Guardian, Björk spoke admiringly about The Hearing Trumpet, praising “its freedom, its humour and how it invents its own laws.” Some of those devotees of Carrington’s work have had a hand in the new editions of her work out in the world now. 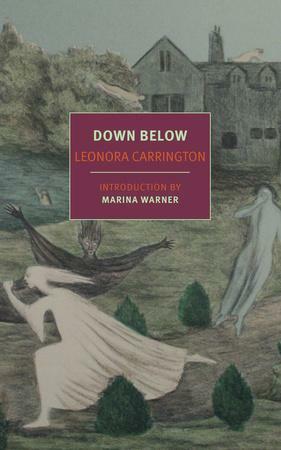 The introduction to Carrington’s Collected Stories comes from Kathryn Davis, author of numerous acclaimed works of surreal and unsettling fiction, while Marina Warner, known for her scholarly work on religion and mythology, supplied the introduction to the new edition of Down Below. This new availability of Carrington’s prose also grants us the full measure of all of her creative works as they relate to one another. In the story “Uncle Sam Carrington,” the narrator recalls a moment from her childhood when she became lost in the woods one night and witnessed an unsettling sight: two cabbages engaged in a fight to the death. She wonders if she’s in a nightmare, but then remembers that she’s still awake. And then she has a curious encounter: “Walking along I met a friend. It was the horse who, years later, was to play an important part in my life.” In the context of her fiction, where animals frequently adopt human characteristics and weird moments collide with the mundane, this doesn’t seem so strange. The protagonist of “The Debutante” befriends a hyena, who takes her place at a dinner table, for instance. But in light of Carrington’s artwork, which frequently featured horses as a motif, “Uncle Sam Carrington” takes on another wrinkle: if we take the first-person narrator to be a young version of Carrington herself, then this becomes something bolder: the artist writing her own origin story, and giving her own early years an added layer of mythology. 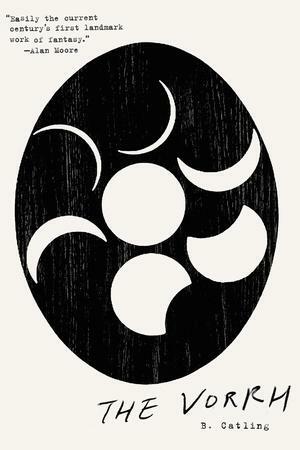 A different sort of mythology emerges from the work of Brian Catling, who writes as B. Catling. He’s a sculptor and performance artist, but he’s also known for his sprawling, surreal novels The Vorrh and its new sequel, The Erstwhile. Both novels are largely set in the early twentieth century, blend real and imagined characters, and engage with everything from the legacy of imperialism to the nature of conflict to the juxtaposition of futuristic technology and primeval landscapes. It’s heady stuff that eludes any sort of classification: in The Erstwhile, Catling writes movingly about the aftermath of the First World War, but also throws mysterious angelic figures into the mix, while The Vorrh throws body horror, strange organic weaponry, and archaic robots into the mix. Both books feel like a distillation of a particular set of interests—histories political and cultural, phantasmagoric figures, the nature of humanity—cast onto the page with an abundance of thrills and tension. At the center of these books is a figure known as Ishmael, who begins The Vorrh as a cyclops and, by the time of The Erstwhile, has had his body altered into a more conventional form. 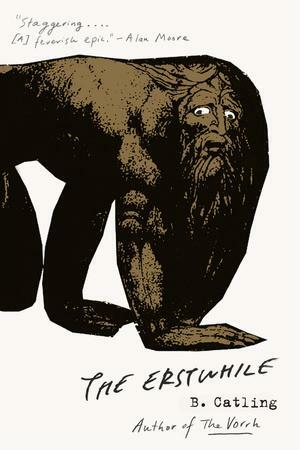 The cyclops is a figure that’s recurred in Catling’s art as well: the description of a 2008 exhibit of his work invokes the presence of “Cyclopic figures,” and states that “[t]hese portraits of what should be monsters, possess a strange beauty and sympathy.” And given that The Vorrh and The Erstwhile include characters both human and supernatural, that statement can and does seem to be applicable to his prose as well. Catling and Carrington may be two of the most visible examples of late of people who have created both compelling art and written work, but they’re certainly not alone: a recent exhibit of work by Sylvia Plath delved into her forays into visual art, and Édouard Levé’s work in photography and prose often overlapped, too. The way that visual art and prose that emerge from the same mind can wrap around each another, their thematic concerns intersecting and their central imagery overlapping, and the subsequent deeper readings of each this allows, can make a powerful impact. There are alternate ways of seeing the world, alternate means by which concepts travel through someone’s mind and onto a canvas or a page. In finding how they differ and converge, they offer us a glimpse into an artist’s mind, leaving us with a more substantial sense of something larger, and revealing the potential ways through which heady concepts and grand themes can be translated into a host of artistic forms.